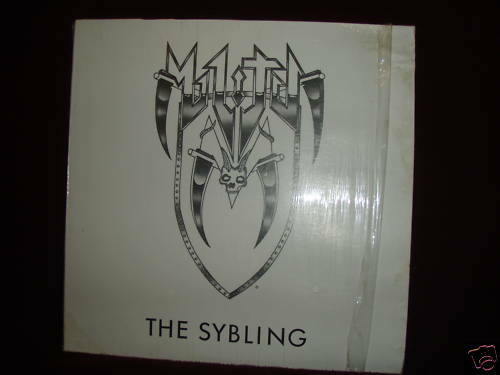 You might remember that I wrote a recent Ebay Madness column on Militia – THE SYBLING E.P. (1985) back in October. A couple of months ago this auction blew the roof off and ended at an insane $2550. So other copies were bound to show up…..
Like most copies of THE SYBLING E.P., this auction is from Texas. 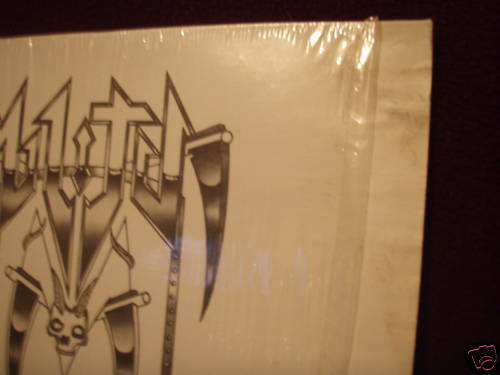 Militia was part of the underground Metal scene in Texas so it only makes sense for a few copies to be hanging around down there. This copy of THE SYBLING is unique in that it has one flaw…..water damage (see next picture) on the right side from the upper corner down. I have to give the seller credit for being so detailed and reporting the water damage because some people might not considering the big bucks this goes for. 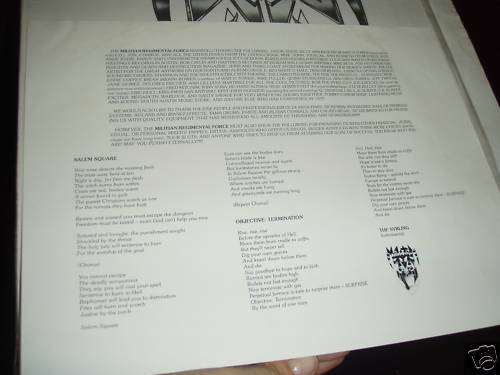 As an added bonus, the seller will include a picture of Militia singer Mike Soliz holding this actual copy…..how’s that for authenticity! It’s still a lot of money and a crazy price…..I still wouldn’t mind finding one, I would keep it for my collection! Check out the other Ebay Madness column for links where you can get more information, buy a compilation with THE SYBLING on it or just listen to the record. Man, if only I could find this one on one of my thrift store journeys… wow. I got the 7″ version for 4 euros in Germany at a 2nd hand music store. Very good condition, still have it of course! I knew the guy who worked at the store and he kept it aside for me.